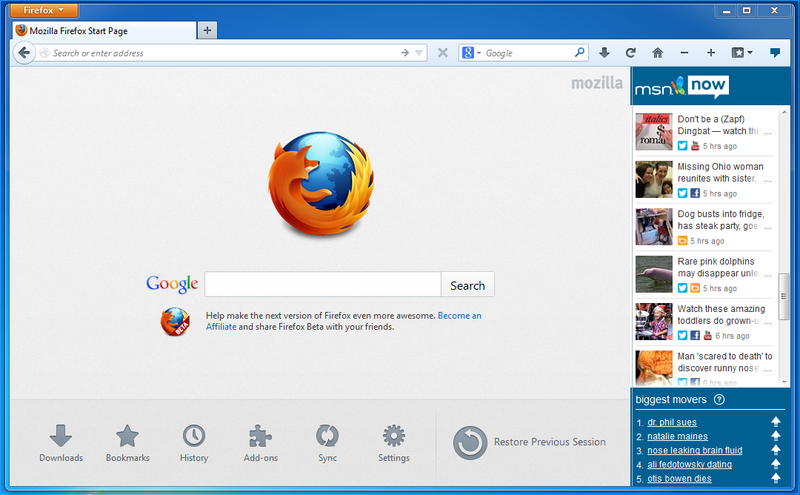 Social sites are a key part of online life and with Firefox we want to make it easier to use the Web the way you want. 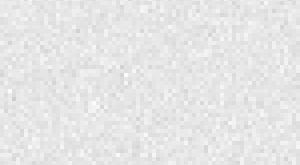 Mozilla developed the Social API to enable social providers to integrate directly into Firefox to make your browsing experience more social, customizable and personal. The Social API makes it easy for your favorite social providers to add a sidebar with your content to Firefox or notification buttons directly on the Firefox toolbar. Last year we launched with Facebook as the first social integration partner in Firefox. Today, we are adding multiple new social providers Cliqz, Mixi and msnNOW to Firefox, in addition to Facebook Messenger for Firefox, to help you stay connected to your social networks, no matter where you go on the Web. The new social providers in Firefox make it even easier for you to keep up with friends, family, news and events while you surf the Web. You can get real time updates about news activity, entertainment or your personal network while you browse the Web. 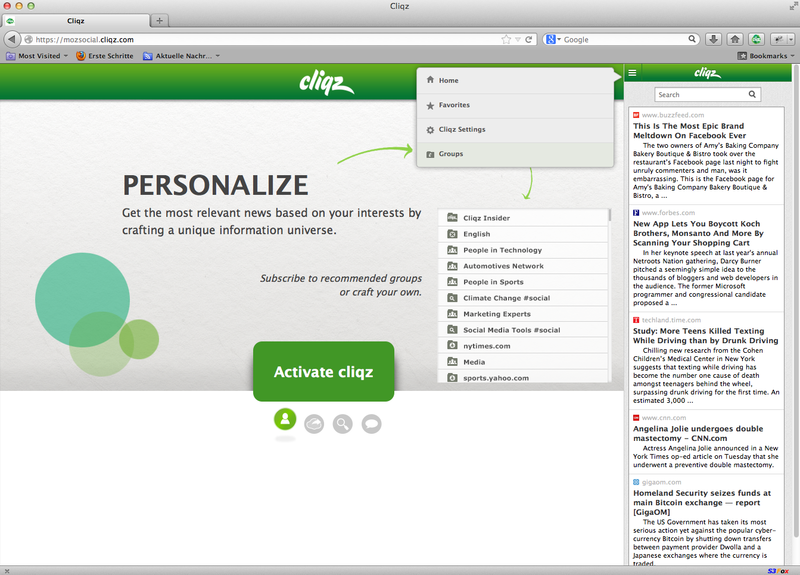 Cliqz delivers a real-time stream of the most relevant articles, stories, and videos based on your interests directly to Firefox. In the upper left of the sidebar, you can personalize your news feed by selecting categories, keywords, websites, and specific people you want to follow. Share links across your social networks or by email; preview Twitter commentary; and save articles for later without ever leaving Firefox. The Mixi sidebar let’s you easily stay in touch with your friends on the Mixi social network in Japan. It provides a real-time activity stream of all comments and photo shares from your personal social network directly to your Firefox browser. 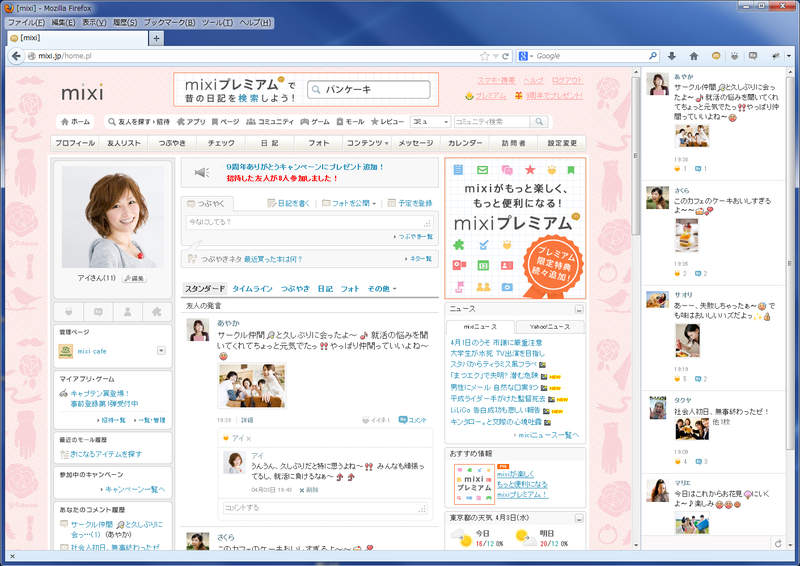 Mixi for Firefox is only available to users in Japan. msnNOW makes it easy to stay up to date on the things people are talking about, searching for and sharing the most on Web. MSN scours the most interesting trends from real-time sources like Facebook, Twitter, Bing, and BreakingNews.com, so you’ll always know what’s happening and get the jump on what everyone is talking about. You can customize the activity stream to watch for particular types of trending content from the sidebar dropdown menu. The Social API has endless potential for integrating social networks, e-mail, finance, music, cloud possibilities, services, to-do lists, sports, news and other applications into your Firefox experience. We designed the Social API to make it easier and more convenient to use the Web the way you want. Soon we’ll add even more ways to integrate your favorite Web services into your Firefox Web experience.